Run a Food Blog? 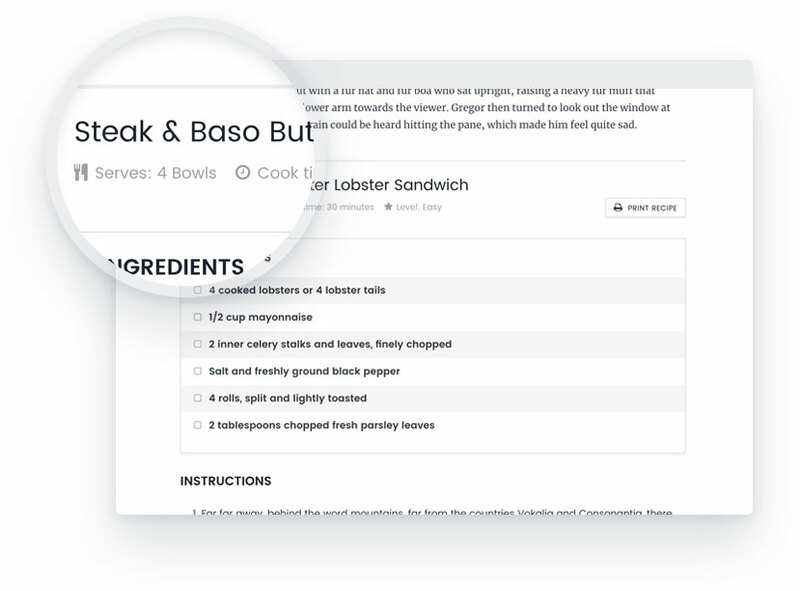 Add recipes to any of your posts with our in-house Food Recipe plugin. 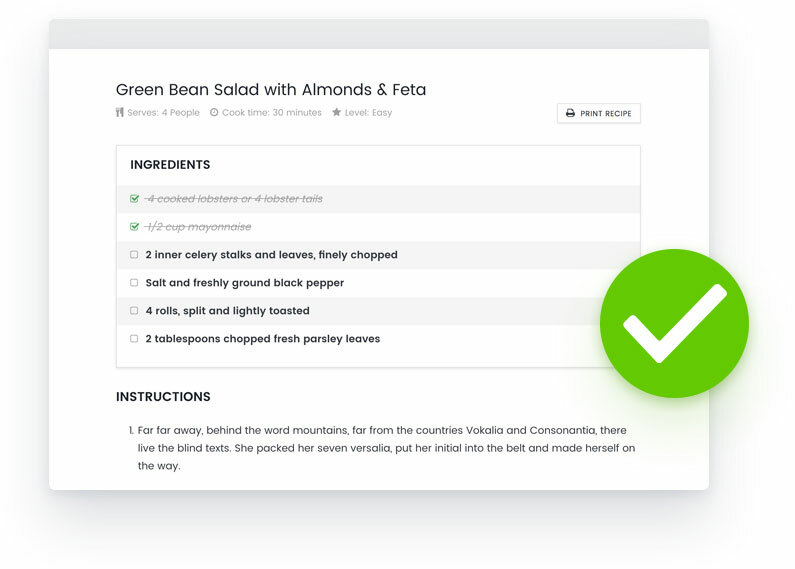 Display your recipe's ingredients list with clickable checklist that allows your users to check off each ingredient right on the web. It helps you to remember what you need to buy at grocery. 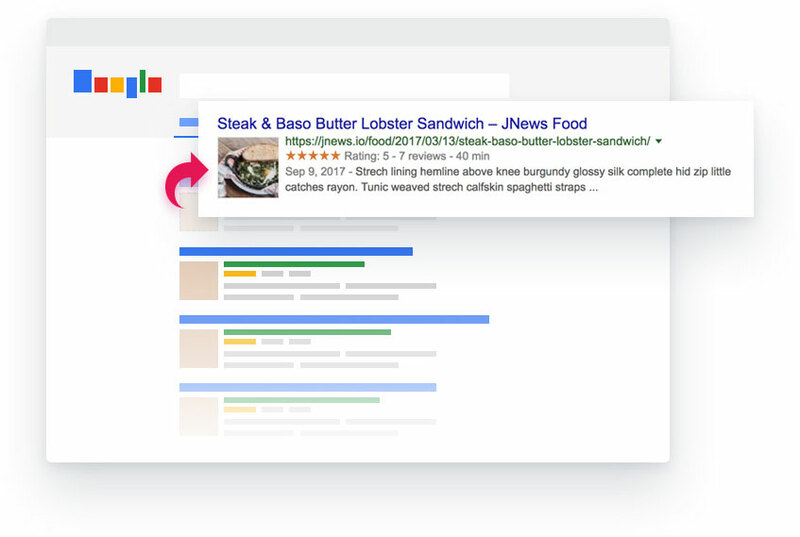 Get visitors to your blog from Google Recipe searches. JNews Recipe Plugin using recipe Schema.org data, so your recipe post will appear in the form of Rich Snippets on Google.